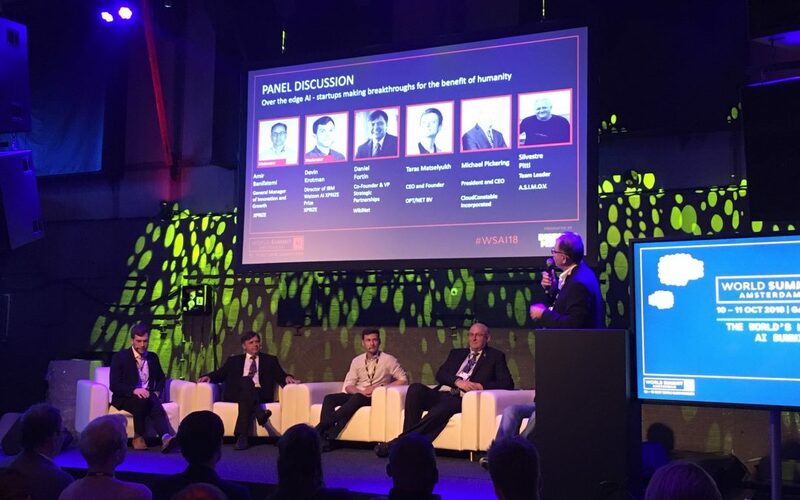 A quick update on one of my activities during World Summit AI in Amsterdam. XPRIZE hosted a panel discussion on “Over the edge AI – startups making breakthroughs for the benefit of humanity”. I was proud to be on stage with other IBM Watson AI XPRIZE team members and the moderators from the XPRIZE Foundation, Amir and Devin! I think it was an interesting discussion and we had a good turnout.